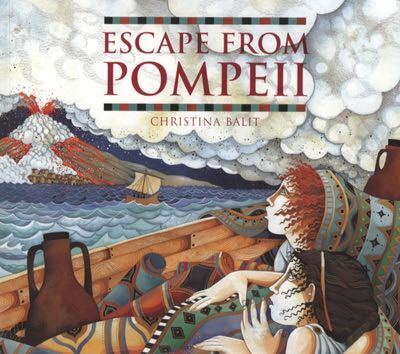 We began the unit of work on Natural Disasters in Literacy with a text focus on Escape from Pompeii by Christina Balit. 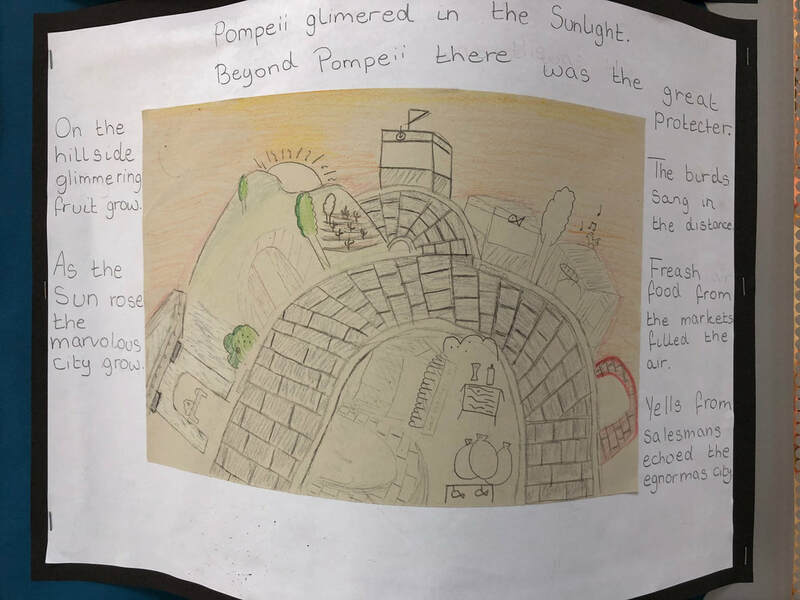 It is a very short book but it is beautifully illustrated and gave us just enough to begin delving into the world of Pompeii! 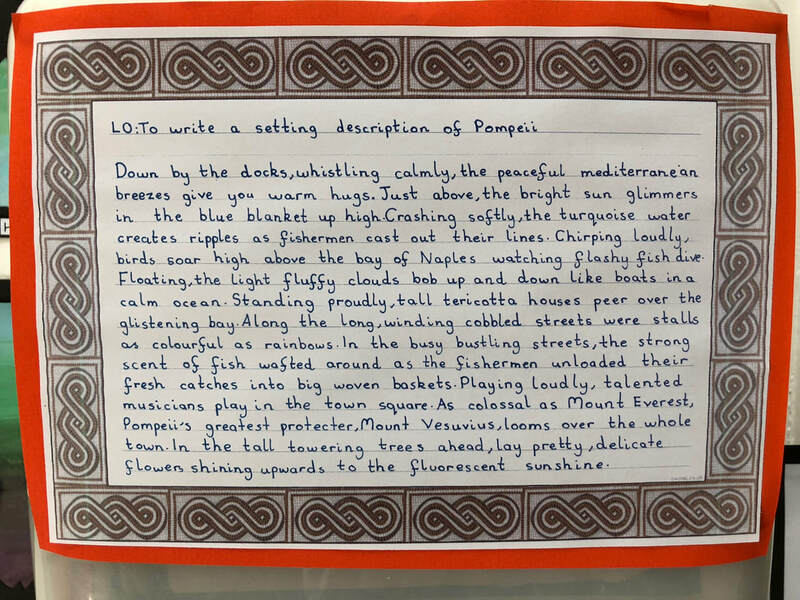 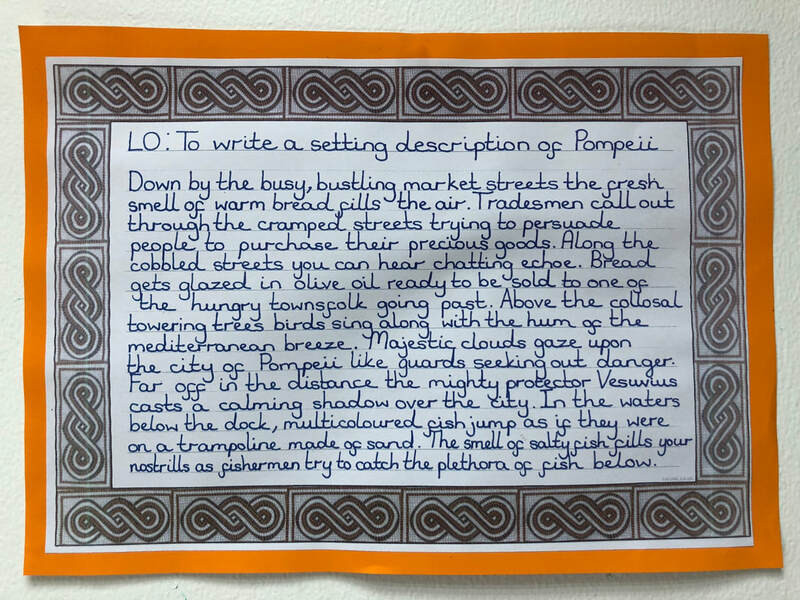 We began our writing with descriptive settings of the city of Pompeii and discussed what life would have been like for people living there at the time. 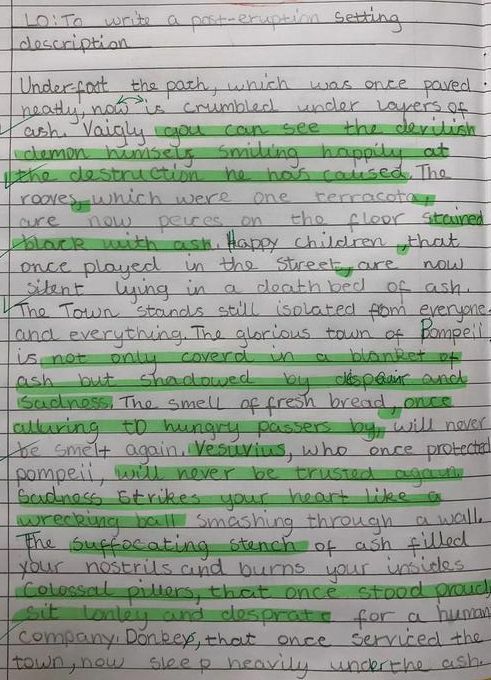 This gave some historical context as well adding extra dimensions to our Literacy work! 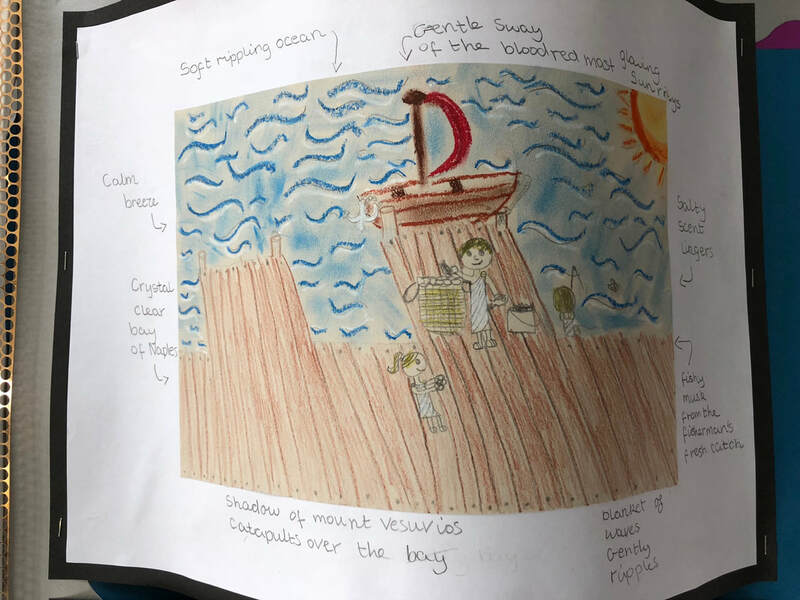 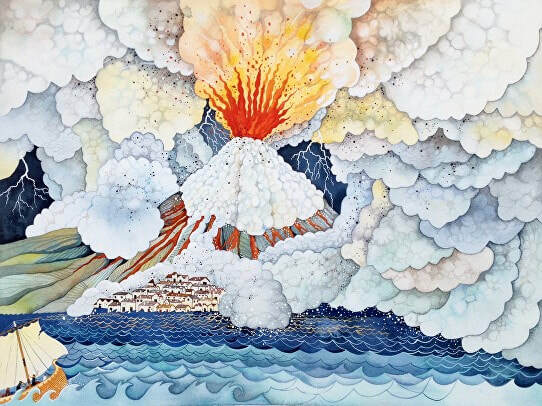 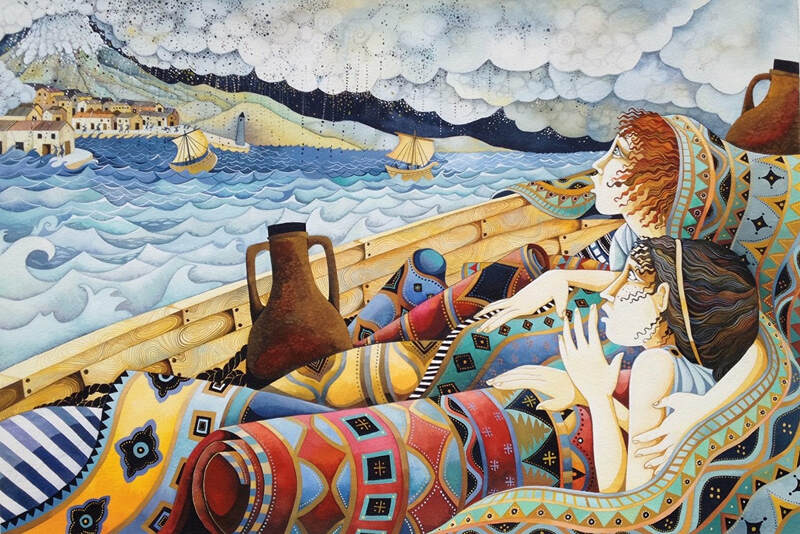 Having read the opening couple of pages of Escape from Pompeii, the children were able to start imagining life in Pompeii before Vesuvius erupted. 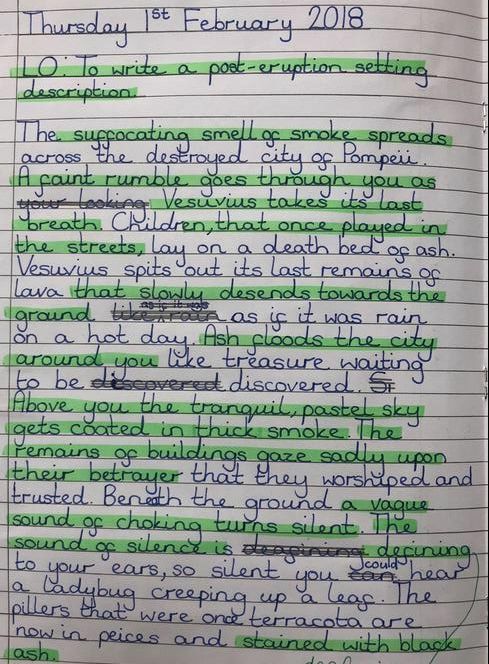 They were given time to draw what the author had written about. 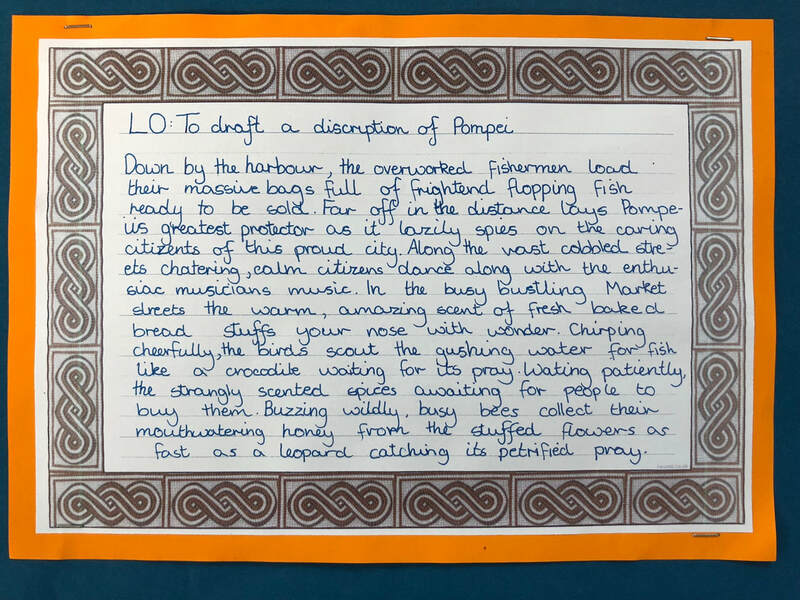 Here are just three examples below. 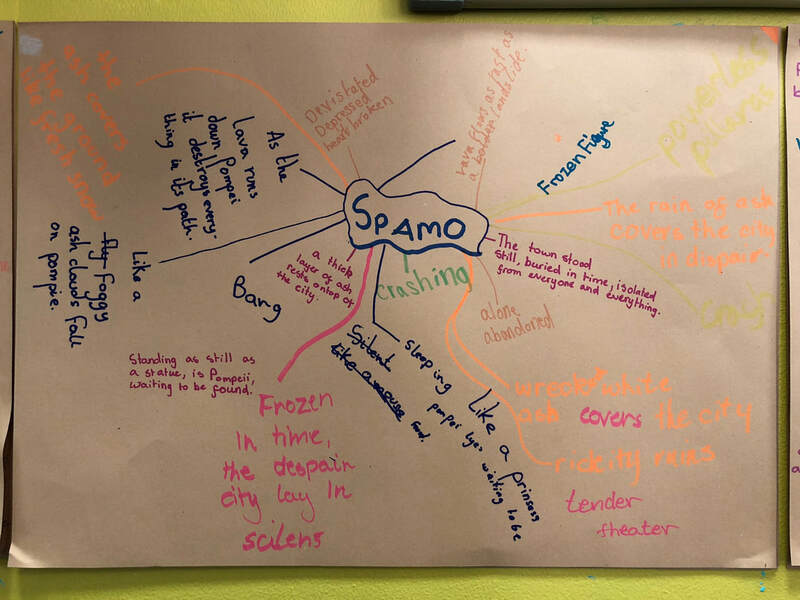 The class was then encouraged to start building word banks ahead of our drafting sessions. 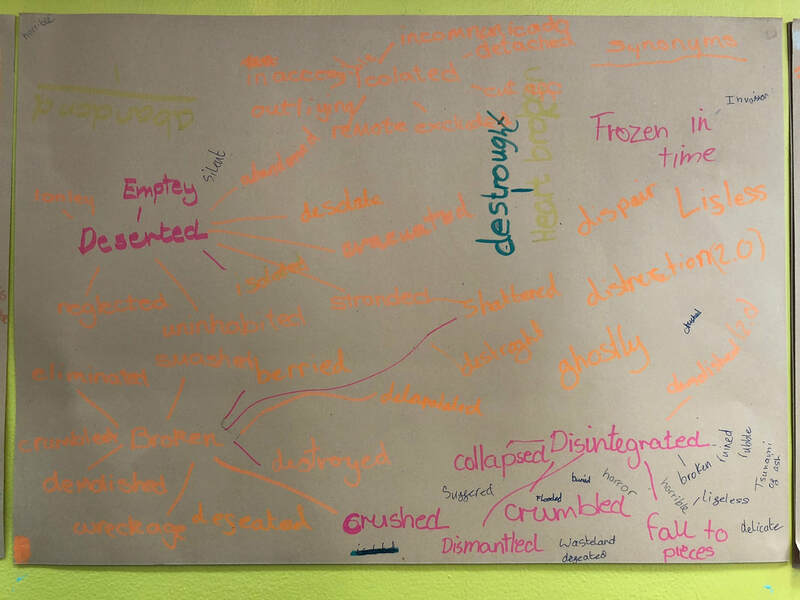 The result of all of this were the pieces below. 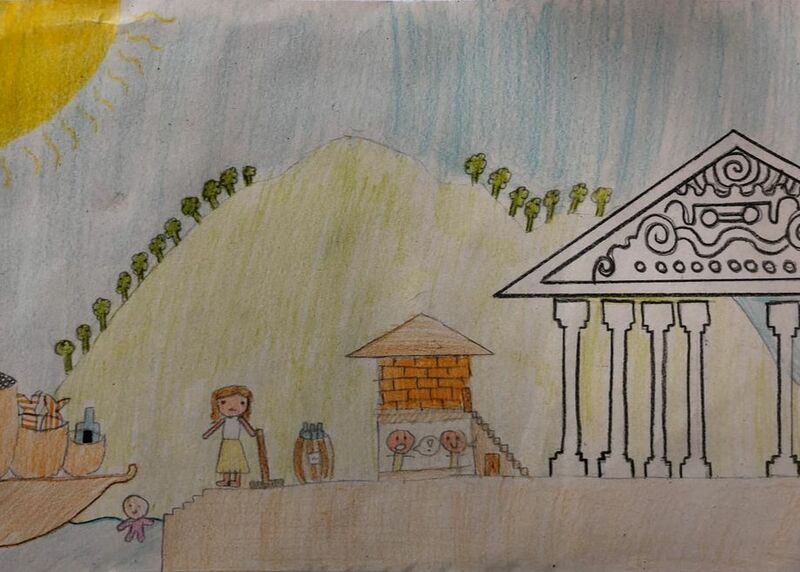 Click on each image to enlarge them. 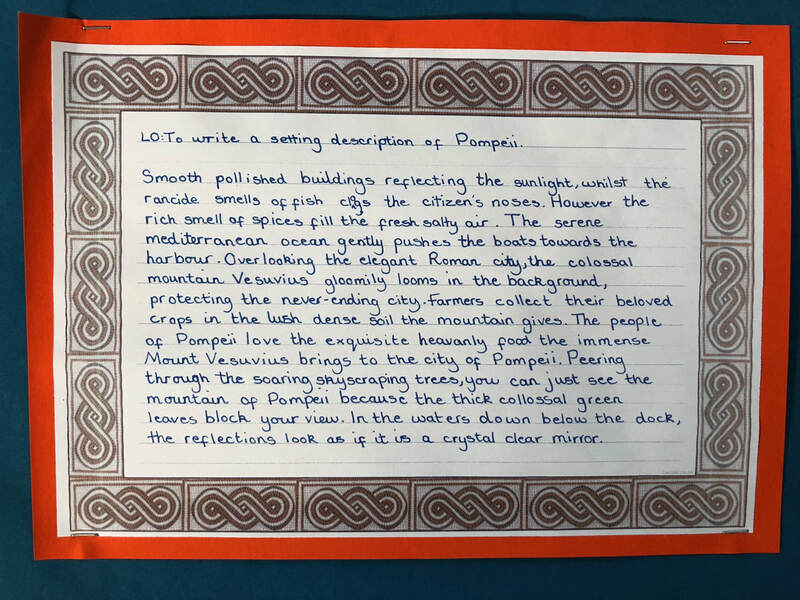 I wanted the children to have some time to reflect on the contrast between life in Pompeii before the eruption and very shortly after. 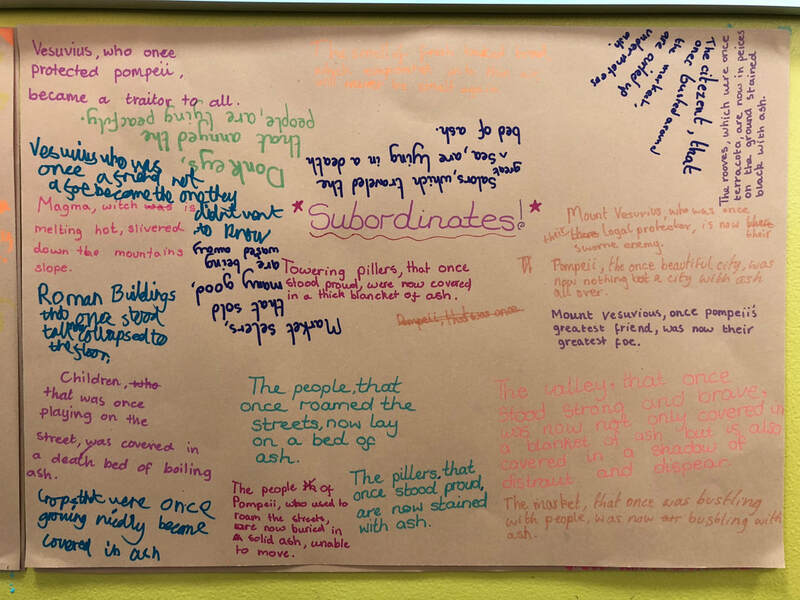 We had spent some time in Grammar sessions looking at Subordinate/Embedded Clauses so I thought this was an ideal opportunity for the children to utilise these in a piece of their own. 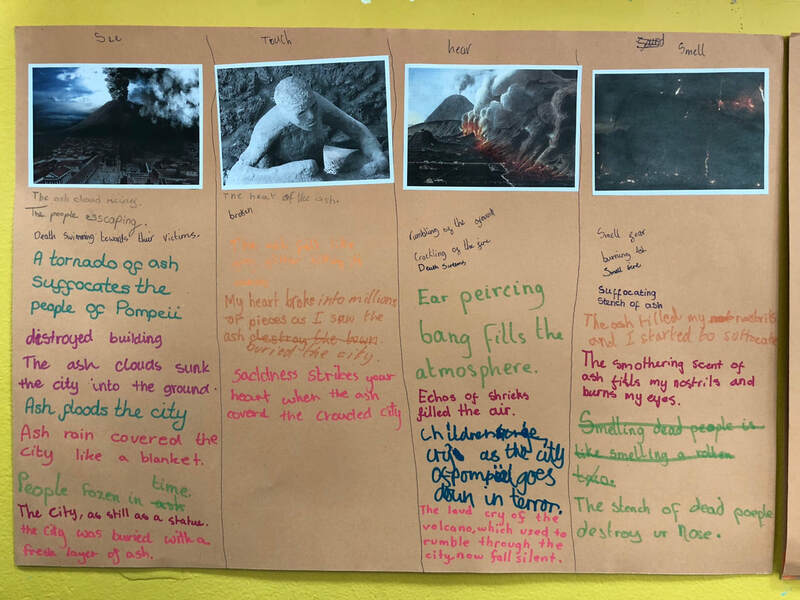 They had enough experience of writing setting descriptions from before but would need some support developing their ideas once again, so I took a different strategy and introduced the 4 S's! 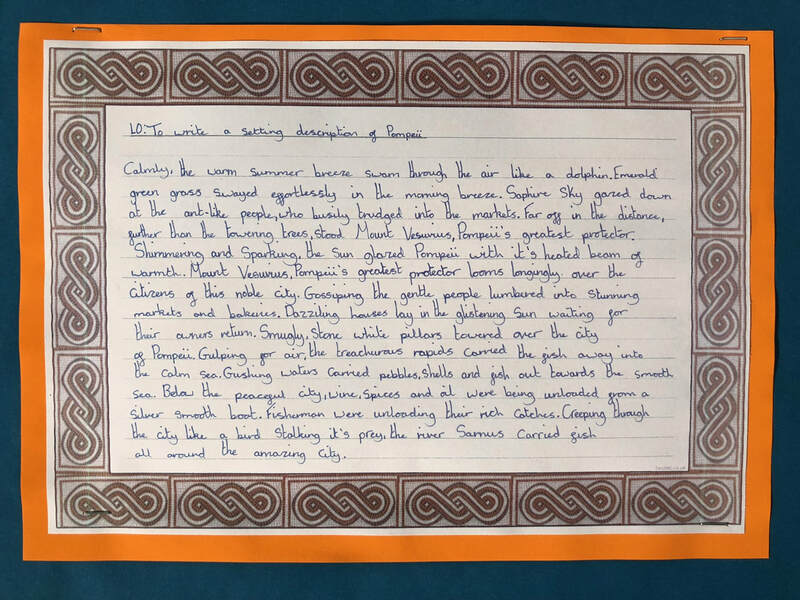 Scroll down for two examples: these are their first and only drafts! 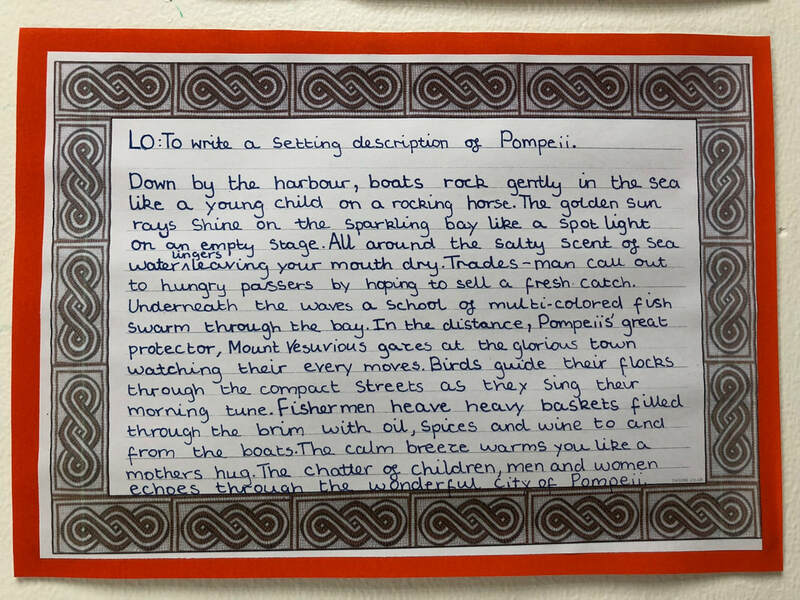 Revised earlier in the week- lots of discussion about how things had changed in Pompeii.